The 2013 garden season has been over for a few weeks. We went strong well into October. I have never put so much time and effort into the garden and it really paid off. Usually by this point in the year, I am completely done with vegetables. This year, I felt like when the garden was finished, I was nicely satiated and am very much looking forward to the next growing season. 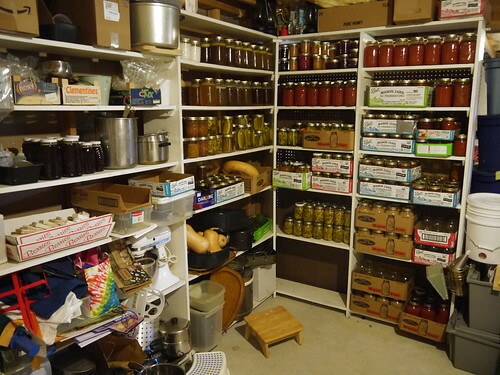 In the meantime, we have shelves and shelves of delicious preserved foods to eat all winter and spring. I thought I would share what came out of our garden this year. The way I see it, there are two main goals that we have currently and two more for the future. The first goal is to consume as much fresh produce as possible all year long. We certainly managed to do that. The spring found us relishing the early radishes and lettuces. All summer long we feasted on corn, tomatoes, greens, beans, and fruits. We bought fruits and veggies very rarely, and it was things like onions, avocados, and bananas. We are still eating winter squash and kale and will do so for the next few months. The second goal is to preserve enough from the garden to supply a large amount of our needs through the winter and spring. We did that as well. The only things we needed to buy were apples to make sauce and peppers for making jelly and salsa. Everything else we preserved from the list below was grown here. The last two goals, which are ones for the future, are to also grow enough to preserve our own seeds and then to think about growing enough to have some to sell. 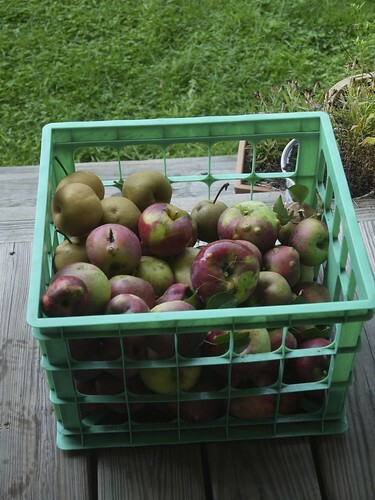 In all honesty, selling is not something I have any plans to do, and the only thing I can think of to do that with will be fruit from the orchard as it continues to mature. Our main goal is simply to provide for ourselves. 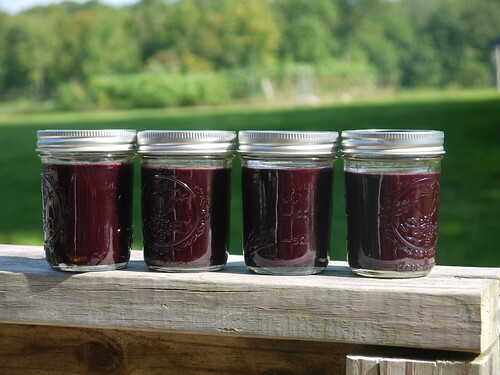 So, in addition to gorging on fresh vegetables and fruit all summer long, here is what we were able to preserve. These numbers are all rough as sometimes we ate a jar or two that didn’t seal properly, so add about +2 to each item. We still had some pickles and jams left over from last year as well, so we will try to eat through those quickly and then enjoy this year’s preserves. We also canned 14 quarts of beef stock so far and will be canning more. It makes me feel very good to know that the basement is filled with such delicious foods and that all of the time and effort I put into the garden is going to pay off nicely. That is amazing! 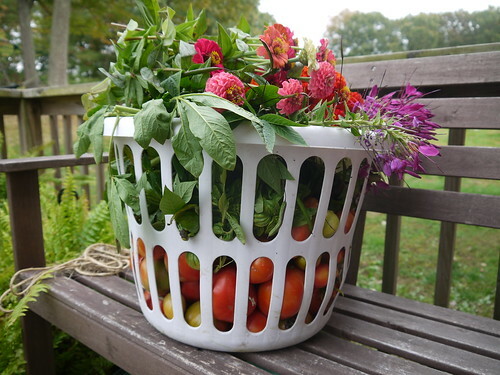 I’ve never had enough vegetables in my garden to do any canning, but that is a goal of mine for the future. Your stock is something to aspire to. Great job.